It was a VERY MERRY Christmas in Aberdeenshire, Scotland. 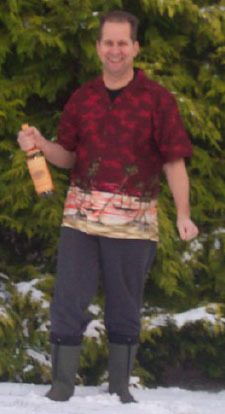 Chris looking very summery in a very cold Scotland. 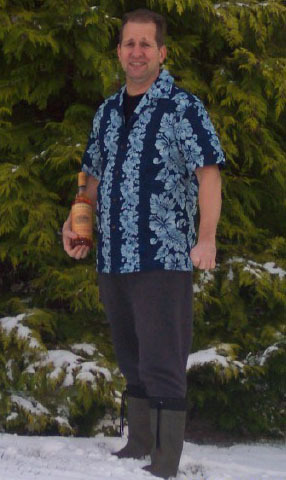 Dressed in your best sunny shirt, a dram and snow what more could you want?... well actually truth be told, SUN would be nice! Excellent Shirts.